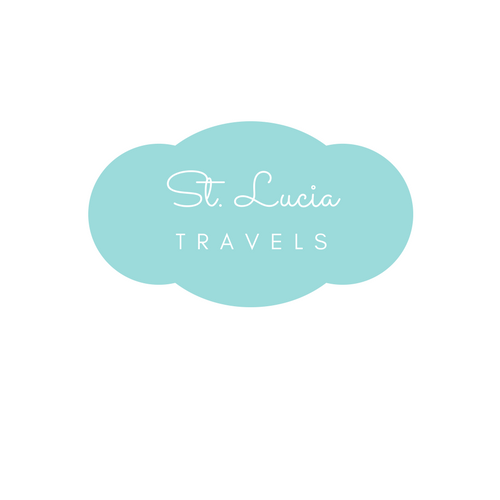 St Lucia travels is all about St Lucia. But we wouldn’t have a great blog without including our readers. We want to show you how amazing St Lucia is and why it’s the place to be. You do not have to take our words for it. Here is one review of the island by one of our readers. This is the best of St Lucia with Kristin. If you would like to be featured, please email us with your ideas. No idea is too small. Feel free to visit this page for more information. Why did you choose St. Lucia as the destination of your choice? I chose St Lucia because one of my good friends calls it his “second home” both of us travel all over the world for work and have each been to over 50 countries, so I knew there was something special about it if he recommended it so highly and kept going back. He has a home there as well, so the next time he took a trip, a group of our friends went with him. Being from Florida, the Caribbean has always been near and dear to my heart and I’ve spent a lot of time in places like Puerto Rico, Dominican Republic and the Bahamas where I could surf, but I was really excited to just go on a relaxing vacation to St. Lucia with friends. Where did you stay and how did you enjoy it? My friend has a timeshare at Windjammer Landing Resort, so that’s where we stayed. It was stunningly beautiful! We were there for a week and I never got used to the beautiful view and beaches. From sunup to sundown, I couldn’t get enough! What was your favorite thing about the island? St. Lucia really looks like a real-life postcard. I think it’s the prettiest Caribbean island I’ve ever been to. In a way, it sort of reminds me of the tropics in the South Pacific. So the scenery really stands out to me, but also the laid back vibe overall and super nice people. The entire island is very idyllic and I really can’t wait to go back. 1 week doesn’t feel like it was enough time! What did you learn about the culture and the people of St Lucia? I learned that the people are soooo genuinely nice, friendly and helpful. The locals seem to have a great outlook on life and I think it’s possible that they were having more fun than the tourists! They seem to be in good moods and having a blast all the time, even when they’re at work! Our group made friends with a lot of the staff at Windjammer, out sailing and also out on the town. We especially enjoyed partaking in the live music and dancing everywhere. I think we danced day and night! It always felt like there was a celebration in the air and it was really uplifting and inspiring. The Joie de Vivre of the local people is contagious. We were all basically smiling, laughing and dancing the entire time we were there. What were the best places that you visited while in St Lucia? Besides falling in love with the pristine beaches, I thought the hot springs and mud baths at the Soufriere volcano were really unique! I’ve never been anywhere like that before. Did you visit any historical sites? We did get to see the harbor, market and some of the buildings in Castries, plus the volcano and some of the national parks, but next time I would love to see even more of the historical sites. What activities did you participate in on the island? We did a Land & Sea tour where we hiked through a rainforest to a waterfall, lunch with a view of The Pitons and then a catamaran out to go snorkeling, kayaking and more. That was one of my favorite days because we got to see so much of the island in one day. We also sailed to Martinique one day and saw a lot of dolphins, but all of us were really eager to get back to our villa in St Lucia! Did you do any tours with tour companies, and what were their rates? Yes; we rented a boat through a local company and also the Land & Sea Tour. I thought the rates were really reasonable. How would you describe the food on the island? The food was really delicious and diverse. There is definitely something that everyone will like, coming to visit from all over the world. We had everything from buffets to fine dining to sushi and street food at the Jazz Festival one night. Would you visit St. Lucia again, and would you recommend it to your friends and family? I would definitely visit St Lucia again. It is a place that people can come to for any reason. You can have a great time as a group of friends or a couple coming for a honeymoon or a romantic getaway. It’s also extremely family friendly and a great idea for a family or college reunion. There was so much we wanted to see and do that we didn’t have time for, so I’ll definitely be back! I can see why my friend keeps coming back year after year and why he calls St. Lucia his home away from home. Kristin Wilson is an American travel blogger, YouTube creator and relocation expert who has helped thousands of people travel or live in foreign countries. She has lived abroad for half her life and visited over 50 countries as a solo female traveler. For travel tips or to follow along with her adventures around the world, make sure to add her to social media!